Now, any cheesecake can light up your day, be it a New York styled or ye old cookie and cream. But in a world where nothing is ever enough, we have cheesecakes that can blow you away with their sheer weirdness. Yes! Even cheesecakes have creative versions that are just not what you can order any day of the week. Bound to be something your kids will enjoy (adults too no doubt). 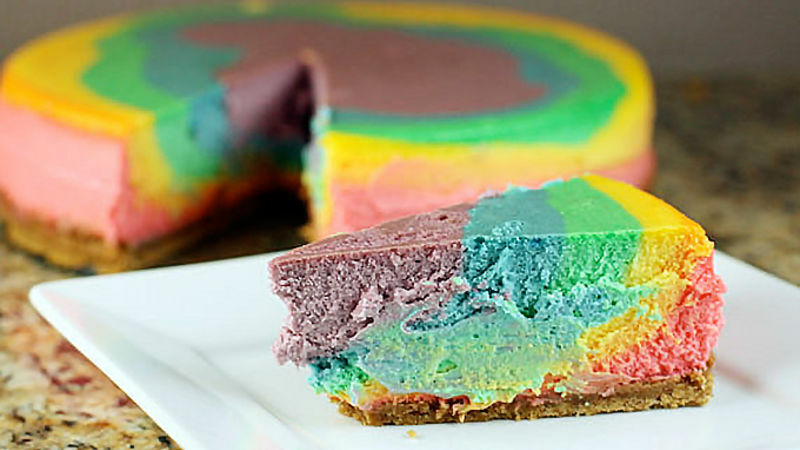 This cheesecake while being light and delicious is a colorful delight enough to be a conversation piece! The cheesecake has a graham cracker crust with a cream cheese filling mixed with vanilla, sour and heavy cream and eggs. Liquid food colors are used to make it colorful. Now, cheesecakes are probably one of the healthiest desserts there are, but this green tea cheesecake really takes the prize home! The recipe recommends matcha powder to get that green tea flavor, but we believe any of your favorite brands will do the trick here. Unlike our last entry, this cheesecake has a chocolate wafer crust and does not use egg so needs no baking. This one scores top marks for creativity — it tries to make like a turtle after all. The cheesecake comes with a crushed Oreo crust and cream cheese filling. It has a creatively decked topping which uses fudge, pecan halves and caramel as a turtle shell! As far as looks go, this one is quite similar to the green tea cheesecake however it has a distinct limey flavor to it. Using a standard graham cracker crust, the cheesecake mixes lime juice with cream cheese to give the cake a tangy twist. 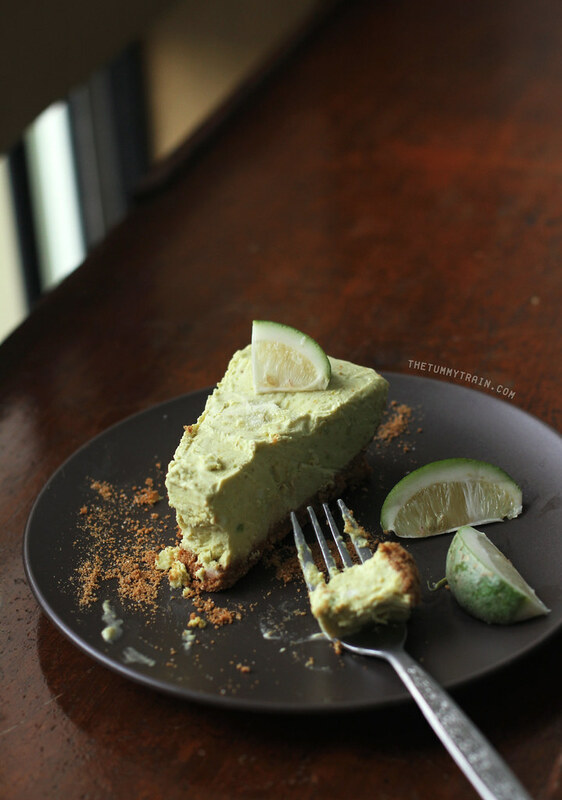 Slices of avocado are used to deck up the cheesecake. Now we know what you’re thinking — not exactly the most unique idea around. But we beg to differ, while the ingredients might not be the most uncommon, but the preparation definitely is. Besides, when this cheesecake is done, it will look more like a wintery dream! Finally, this is a no bake recipe so you can make it fairly easily. Found something that you liked? Have some friends over and give one of these recipes a shot. You are sure to turn a few heads and have plenty to talk about….and of course…eat! By the way, Crumble and Whisk also have quite a few recipes that you will find deliciously surprising! Go over to our store and try out a few today.